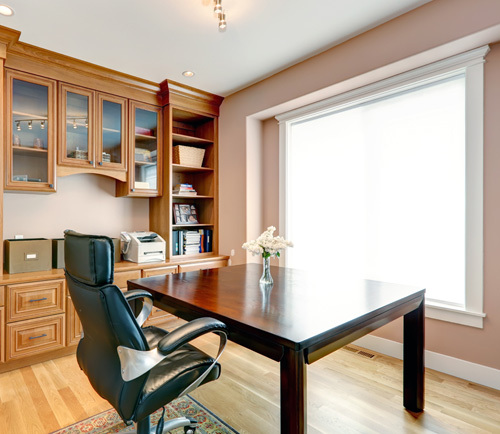 Custom home office organizers in Boston. Storage solutions including custom-built cabinets, bookshelves & countertops. Whether you work at home full-time, or spend just a couple of hours a week taking care of household responsibilities, the home office area must be well organized. After all, cluttered surroundings are going to affect your state of mind, and cluttered thinking is the last thing you need when it comes to your career or taking care of important household tasks. Don’t spend another day complaining about the clutter on your desk, the stack of books that won’t fit on your shelves or the computer tower you keep kicking underneath your desk; take the first step toward a solution and contact the Boston Closet Company. Without all that clutter distracting you, you’ll be amazed at the quantity and quality of the work you can get done. And thanks to our virtually maintenance-free system, you’ll no longer have to spend hours working at keeping your home office clutter-free. 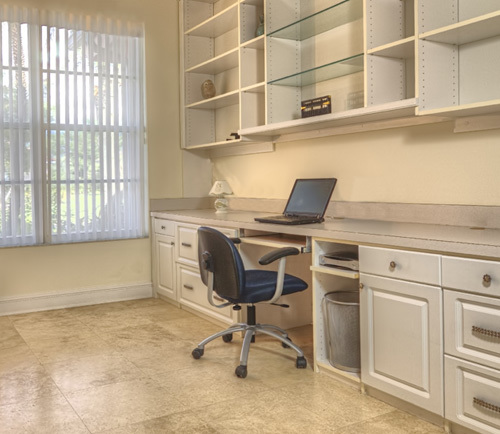 For the right office solution for your unique space, contact us today for your FREE custom home office consultation. Our skilled, experienced designers are always professional and always on time for appointments!